"We want the taranium core back Doctor, and there's nothing you can do to stop us now. " Happy 100th Episode of Doctor Who! We celebrate well with the Doctor pitted against one of the best villains the show has produced so far in Mavic Chen, a favourite, but slightly less than serious, adversary in the Monk and the Daleks being the Daleks. 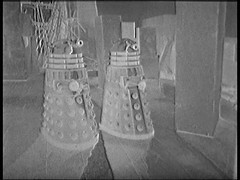 They look superb in the pre filmed battle sequences in this episode, their flowing movement showing some urgency. 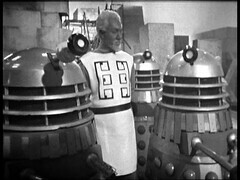 There's four Daleks here, as there has been all series, but no Supreme so I assume he's had a respray since his appearance in Episode 8. I spot Broken Neck Ring in the back of some scenes with Douglas Camfield again trying to hide the damaged section from view a lot of the time. 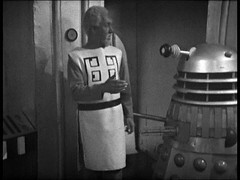 There's another Dalek here showing sins of damage with some chips taken out of his neck rings! CHEN: I'm surprised that you met his terms so readily. 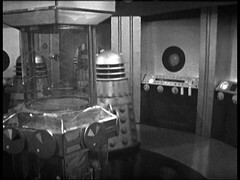 DALEK: One Dalek is capable of exterminating all! 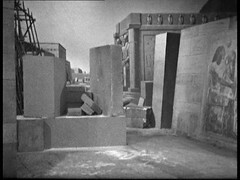 Years later that forms the premise for the New Series episode Dalek with a lone stranded Dalek going on a deadly rampage. 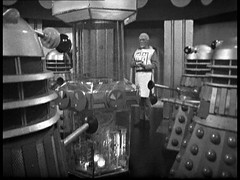 Oddly most of Doctor Who's "big round number" episodes from the sixties exist: The 50th (Dalek Invasion of Earth 5), 100th, 150th (Moonbase 2) and 250th (War Games 7). Sadly the 200th (Fury from the Deep 3) doesn't spoiling the pattern somewhat! STEVEN: If you try any more of your funny business, I'll exterminate you myself. 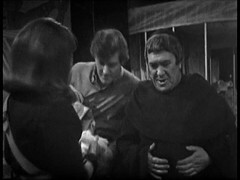 Sadly here we say farewell to the Monk and Peter Butterworth. Butterwoth gives top performance on both appearances and superb when acting against Hartnell. It's a big shame that he never came back for a third go. 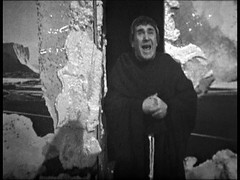 But I suppose you could argue that the Monk is a more mischievous and less evil prototype for another member of the Doctor's, at this point unnamed, race that we'll meet later. Confession time: I fell asleep watching this episode on the first go for this blog: I was tired, it was cold and I was in bed. It deserved better as it's not that bad. In it's defence I've slept through better and worse episodes of Doctor Who in my time. 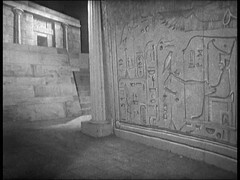 Like last episode there's a fair number of extras involved as Egyptians, but only Valentino Musetti and Anthony Lang return from the previous episode. 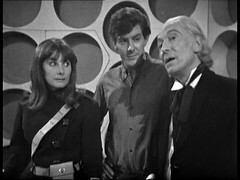 Of the others three are making their first appearance in Doctor Who before returning later. Barry Noble is another to feature in the next story, The Massacre, appearing in episode 3: Priest of Death as a Parisian Man before returning in the first episode of The War Machines as an Inferno Club Customer and in the Second Doctor story The Moonbase Episode 4 as Cyberman. 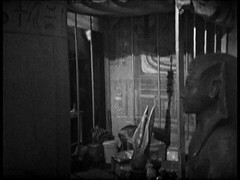 Andrew Andreas is in more Troughton episodes appearing in The Enemy of the World Episodes 2 & 3 as a Central European Guard and The War Games Episode Three as a German Soldier while Glen Whitter appears in the Pertwee story Day of the Daleks as a Slave in episode 3 and an African Aide in episode 4. As we said last episode this episode gives us a view of most of the locations used over both episodes. Indeed Camfield treats us to unrestricted views of most of them, without many or any performers visible and that highlights what superb work designer Barry Newbery has done on this second half of the story. 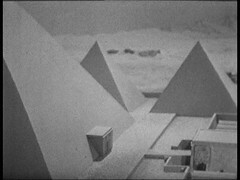 Indeed the Egyptian sets look so good and by comparison the Dalek control set above pales somewhat. 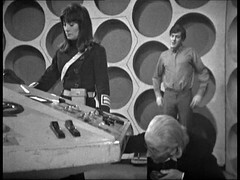 STEVEN: Yes, well, I hope the Daleks don't catch the Monk. SARA: After all that he's done? STEVEN: Yes, even after all that. DOCTOR: Oh, I shouldn't worry any more, my dear boy. There's no doubt about it, he's right away by now. STEVEN: Do you think he'll come looking for revenge again? DOCTOR: Perhaps, yes. Perhaps one day. At the moment, I should say that he's had quite enough for us for a while. Having taken his directional unit, it will take him quite a time to make the necessary repairs to his ship. SARA: What about our repairs? Will the unit work? DOCTOR: Well, I'm not certain. It's a Mark four, remember. There are two possibilities. One, it would work. DOCTOR: Number two, the increased energy rate will certainly destroy the centre column. SARA: But we do have a chance? DOCTOR: Yes, my dear. A chance. A slim one. 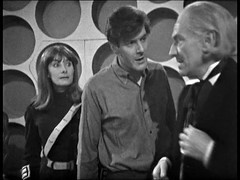 This is the first time that we, the modern viewer, have seen inside the Tardis during an episode since Time Meddler 1, 21 episodes ago! Unfortunately that's it for surviving episodes of this story, we're back to CD for the remaining two episodes and all four of the next story.